This is a post about “Samaikya” …… !! … We go to Zoos and see happily animals which you do not otherwise get to see…… Giraffe is an African even-toed ungulate mammal, the tallest living terrestrial animal and the largest ruminant. Its species name refers to its camel-like appearance and the patches of color on its fur. Giraffes usually inhabit savannas, grasslands, and open woodlands. Males establish social hierarchies through "necking", which are combat bouts where the neck is used as a weapon. The giraffe has intrigued various cultures, both ancient and modern, for its peculiar appearance, and has often been featured in paintings, books, and cartoons. Much storm has brewed for Telangana ~ the region which fought successfully for statehood; the Telangana region has an area of 114,840 square kilometres (44,340 sq mi), and a population of 35,286,757 (2011 census) which was 41.6% of Andhra Pradesh state population. Telangana comprises 10 districts: Hyderabad, Adilabad, Khammam, Karimnagar, Mahbubnagar, Medak, Nalgonda, Nizamabad,Rangareddy, and Warangal. 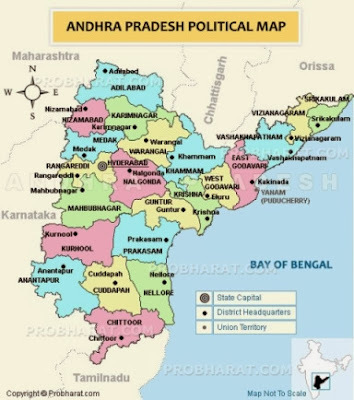 On 30 July 2013, the ruling Congress party resolved to request the Central government to make steps in accordance with the Constitution to form a separate state of Telangana (the 29th state of India). On 3 October 2013, the Union Cabinet approved the creation of a new state of Telangana by bifurcating the existing state of Andhra Pradesh. On 5 December 2013, cabinet approved the Telangana draft bill prepared by Group of Ministers (GoM). Once the Parliament approves the bill – the 29th State would be born - Hyderabad will be the joint capital of Andhra Pradesh and Telangana for 10 years. The issue of Telangana has split the ruling Congress down the middle in the state of Andhra Pradesh, with one section fiercely opposed to it while another continued to back the party's high command on the formation of the new state. According to an Indian Express report, the party expects over 45 MLAs, including ministers and district level leaders, to make a beeline for rival parties including the TDP and YSR Congress, to ensure that their electoral prospects aren't hit by anti-Telangana sentiment. At a time when we were used to hearing of “T” issue – there is also growing demand for united State which had its echo in the public meeting addressed by President Pranab Mukherjee with Minister S. Sailajanath, a strong votary of Samaikhyandhra, raising the issue amid large gathering of people. Dr. Sailajanath said the President was the “only person” capable of ensuring that established procedures were followed in the bifurcation process. The meeting was organised to conclude the birth centenary celebrations of former president Neelam Sanjeeva Reddy. Anantapur MP Ananta Venkatarami Reddy referred to the ongoing crisis and said Mr. Pranab’s visit at this juncture raised hopes for an amicable solution. The President in his speech hailed Sanjeeva Reddy as modern day architect of the State and set high standards in public life. Sanjeeva Reddy displayed high standards by resigning as Chief Minister over an adverse remark made by the Supreme Court against his Government for not filing an affidavit. Earlier, police arrested 40 students of Sri Krishnadevaraya University affiliated to the SKU Joint Action Committee while they were on their way to venue of the public meeting. The students were released after the President left for Puttaparthy airport. If you are wondering of the “Samaikya” at the start - Samaikya Andhra Movement is a movement organized by seemaandhra people to keep the Indian state of Andhra Pradesh united, and to prevent the division of the state - separating the Telangana districts of the state into a separate Telangana state. The movement is supported by government employees, advocates in Andhra, Rayalaseema regions along with students from 14 universities, various occupational, caste & religious groups of Andhra & Rayalaseema regions. The movement took shape on 9 December 2009, when as a result of a 11-day fast by Telangana Rashtra Samithi (TRS) president K Chandrashekar Rao (KCR), Union Home Minister P. Chidambaram announced that the Indian government would start the process of forming a separate Telangana state pending the introduction and passage of a separation resolution in the Andhra Pradesh assembly. The announcement resulted in widespread protests across Andhra and Rayalseema regions. In the Indian Parliament, MPs belonging to Telugu Desam Party (TDP) & Congress parties along with Jagan Mohan Reddy protested by holding placards favoring a United Andhra Pradesh. In Feb 2010, the Govt announced a five-member committee headed by former Supreme Court judge Justice B.N. Srikrishna which toured all the regions of state extensively and invited people from all sections of the society to give their opinion on the statehood. It received over one lakh petitions and representations from political parties, organisations, NGOs and individuals. The committee favoured the option to keep the State united and providing for creation of a statutorily empowered Telangana Regional Council. Samaikhyandhra proponents welcomed the report and supported the recommended option; while Telangana leaders rejected the recommendations of the Sri Krishna Committee Report. 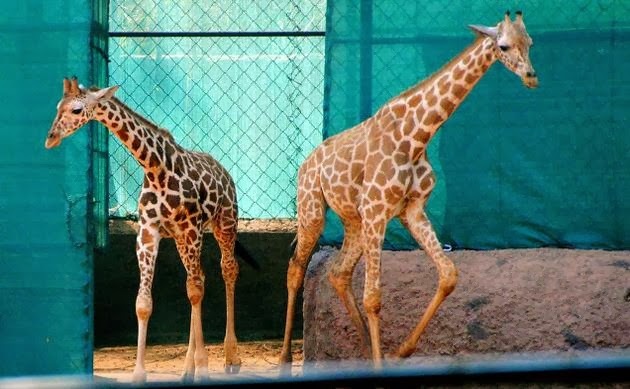 Hundreds of wildlife enthusiasts who thronged the Indira Gandhi Zoological Park at Vizag were thrilled to see the new arrivals — a pair of giraffe from Malaysia and a rhino from Kanpur. A cheetah couple will be a Sankranti-eve gift to the zoo. Two pairs of black and white swans were among the new arrivals. The giraffes, after the end of their long quarantine period, were allowed for public viewing along with the rhino, which turned aggressive and ran amok jumping out of its enclosure immediately after its arrival here from the Kanpur zoo eight months ago. After releasing the new arrivals for public-viewing, Minister for Environment and Forests Satrucharla Vijaya Rama Raju named the male giraffe ‘Samaikya’ and the female partner ‘Andhra’. The Minister said they were also in the process of adding the zoo population by bringing ring-tailed lemurs, Mandrills, and Marmoset monkeys from the Israel zoo. So that is the story of ‘Samaikya’ – the giraffe – but in a tragic incident, one of the three giraffes shipped from the Negara Malaysian Zoological Society in Malaysia died en route its journey to India. The third one, a female giraffe aged less than two years died reportedly after its neck broke during the five-day journey from Malaysia to Chennai. According to news reports, the young female giraffe suffered fracture on its neck during the course of the journey and though the veterinarians on-board tried to treat it, the giraffe was unable to complete its journey and succumbed to injuries. It was to be housed at Hyderabad zoo which had lost a female giraffe a few months ago. The giraffes were being shipped via the sea route as they had grown to a height of more than 10 feet, due to which they could not be accommodated on flight. The remaining two were quarantined at Hyderabad zoo and then shifted to IGZP at Vizag. The travel from Malaysia to Chennai took five days, it took another one-and-half-day via road to Hyderabad. Of the two, male Samaikya is aged about two years; Andhra, the female is less than a year. Giraffes are usually brought at a young age and they have a life span of around 20 to 25 years in captivity. Sources said that with public arrivals to the zoo having dropped by nearly 50% due to the Samaikyandhra stir, Nakul, the rhino - was expected to result in an increase in visitor footfalls at the zoo.